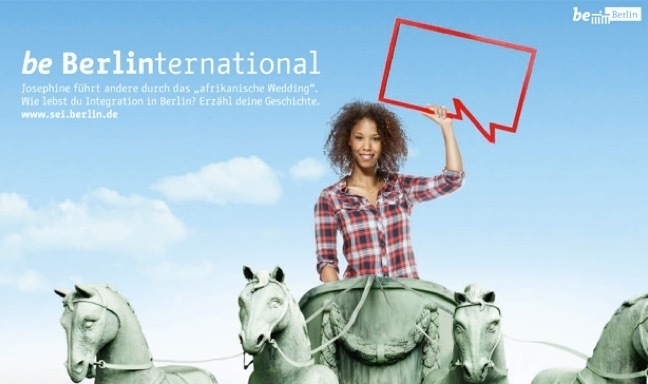 beBerlin International: Urban Marketing or Civic Engagement? I spent the summer of 2013 in Berlin researching the beBerlin International campaign and I presented my findings at Sciences Po during the Council for European Studies conference in 2015. PROJECT ABSTRACT: Recently, practitioners and scholars have been exploring how the use of social media, networking sites, and other digital tools can help engage and include immigrants in public discourse about integration programs in their host countries. But, how exactly do cities use digital tools to learn from immigrant residents and create better integration policies? I investigate this question through a case study of the recent “be Berlininternational campaign” that uses the Internet to crowdsource and share stories from Berlin’s immigrants about their experiences settling in and adapting to the city. Through qualitative interviews, document analysis, and historic archives, this research demonstrates that the use of digital tools to facilitate knowledge sharing and participation between cities and their diverse populations may be a guise to serve larger capitalist interests. While framed as a civic engagement effort, the campaign actually acts as an economic development tool to lure companies and investors to the city by highlighting Berlin’s untapped diverse and creative workforce. This marketing may actually harm foreign-born and ethnic residents, rather than help them, by ultimately gentrifying several minority neighborhoods, displacing much of Berlin’s struggling and thriving immigrant populations. While social media and social networking sites have great potential to assist with participatory efforts and democratic practice in a diverse metropolis, they also serve as powerful marketing tools that help cities brand themselves in ways that do not serve their existing constituents. This article is under preparation. The research was funded by MISTI-Germany, the DUSP William Emerson Travel Grant, the Kelly Douglas Research Grant, and the MIT Center for International Studies.